Home / Uncategorized / When Does It Make Sense To Have A Pro Review Your Tax Return? If you’ve ever visited a tax office to get help filing your tax return, you know that the appointment can be stressful. What if you forget an important tax document? What if the appointment lasts longer than you think it will? Plus, visiting an office to file your returns can cost you in both time and money. According to a survey by H&R Block, 41% of Americans would rather spend time with their family than visit a tax office. Of course, visiting a tax office isn’t all downsides. Certified tax preparers and CPAs offer the assurance that your return is accurate and complete. They walk you through complex calculations, and they make sure that you maximize all your deductions and credits. Can you get expert assistance without visiting a tax office? It’s 2018! Of course you can! H&R Block Tax Pro Review is a feature you can add on to H&R Block’s online tax filing service. You fill out the H&R Block tax software to the best of your ability. Then a Certified tax professional double checks your work. They’ll make sure that you took advantage of every deduction available, they’ll check your work, and they’ll do it all while you sleep. The tax pro guarantees a maximum refund for you, and they’ll file extra forms if you missed the forms. So who should take advantage of a Tax Pro Review from H&R Block? We can think of four scenarios where the review could be well worth the money. Most people can navigate through a tax-return without too much difficulty. Plus H&R Block’s More Zero online software makes it easy for W-2 filers to maximize their return without paying anything. Unfortunately, people with side hustle income will often have a harder time figuring out their taxes. Whether you’re a ride-sharing driver, a freelance writer, or a lawn maintenance pro, you’ll need to declare business income and business expenses. Tax professionals from H&R Block can help you win the “is it deductible?” game. Plus, they will give you confidence that you’re filing the way you’re supposed to. If you’ve got self-employment income H&R Block charges $89.99 for the additional Tax Pro Review. For first time self-employed people this can be $89.99 well spent. Ever since I bought a rental property, tax time became more anxiety inducing. Of course, keeping track of rental income and expenses is important, but not overly difficult. The real difficulty comes at tax time when I need to decide whether an expense is one to amortize or deduct. Of course H&R Block’s robust online software takes care of calculating a depreciating asset (the house itself), but it’s good to get a second set of eyes on the calculation. If you’re a landlord who wants to maximize your tax deductions, getting a Tax Pro Review from H&R Block might be worth the extra $89.99. H&R Block online has one of the most robust interfaces for active stock market traders. 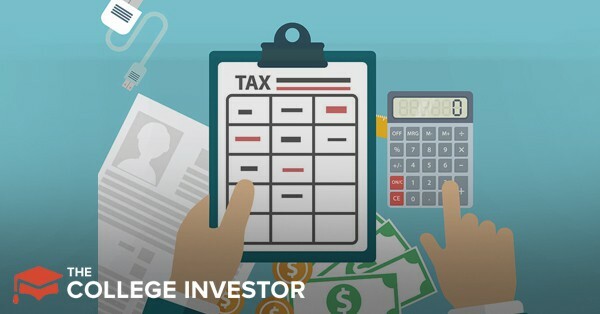 Simply connect the software to your brokerage accounts, and H&R Block will calculate the short term, long term and dividend income from your activity. This is an awesome benefit, and perfect for people who made just a few trades in the previous years. However, active traders can also sometimes deduct expenses associated with their activity. Did you pay for software or information? Did you pay trading fees? Might you qualify for a home office deduction? Plus, let’s not even get started on the complexities of taxes on cryptocurrency transactions. If you’ve done any type of crypto trading, you could be in for a rough tax experience if you don’t know what you’re doing. These are the types of expense that a Tax Pro from H&R Block can help you decide whether to deduct. H&R Block online tax filing software is one of the best in the business for first time filers. Plus, plenty of first-time filers will qualify for H&R Block More Zero, a completely free filing service. If you’re nervous that you’re filing incorrectly, we don’t recommend upgrading to Tax Pro Review right away. Instead, complete your filing in the software and evaluate your feelings then. Are you confident that you didn’t miss anything? Then go ahead and file. On the other hand, if you want a professional to review it, go ahead and upgrade. Tax Pro Review from H&R Block costs $49.99-$89.99, and it’s a worthwhile expense if it will give you confidence to file on your own for the first time. For many filers, simply using H&R Block More Zero and filing for free can make a lot of sense. But in some circumstances (including the ones we listed above), it can be extremely beneficial to have your review checked out by a tax pro. And with Tax Pro Review from H&R Block, you never even have to leave your house. That’s pretty awesome.